In the midst of the recent correction in stocks, investors also saw fit to shun corporate bonds – a combination normally associated with more extensive bear markets and recessions. Amid the hoopla of the latest melt-up in stocks, one thing that has been lost is the ongoing dismal performance of corporate bonds. While the major stock averages have vaulted to or near 52-week highs in the past 5 days, the popular iShares Investment Grade Corporate Bond ETF, LQD, has plummeted by more than 2%. However, corporate bond troubles did not just suddenly materialize. The space has been struggling since it hit an all-time high in January, as measured by the LQD. Perhaps the oddest thing is that, even during the teeth of the stock market carnage in August-September, corporate bonds did not so much as budge off of near 20-month lows. No, they’re not necessarily a safe haven destination to the degree of treasury bonds, but one might have expected that they could muster at least a mean-reversion bounce. That got us thinking (yes, we do that sometimes), how unusual is this languid response from corporate bonds in the face of sharp equity declines? First, we had to define what exactly occurred so that we could search for potential historical precedents. 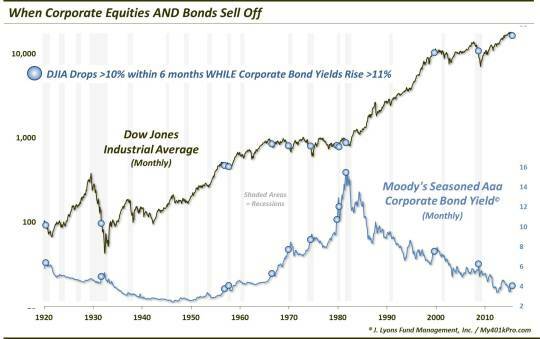 So that we might look back into history as far as possible, we used the Dow Jones Industrial Average (DJIA) for our equity average and monthly closes of the Moody’s Seasoned Aaa Corporate Bond Yield (Moody’s Aaa) as our corporate bond proxy. So what occurred exactly during the recent stock market collapse? Well, judging by monthly closing prices in the DJIA, equities fell more than 10% from their 6-month highs into their August and September lows. At the same time, the Moody’s Aaa Yield climbed by over 11% (remember bond prices fall when yields rise). How unusual is that combination? Since 1918, we found just 12 other unique occasions (encompassing 23 months). What sort of context can we apply to these precedents? First of all, the performance of the DJIA going forward was poor, particularly in the intermediate-term (we used the performance of all 23 months even though some occurred within close proximity of each other. 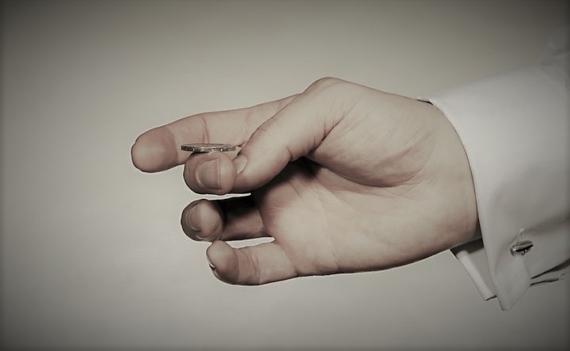 Our thought was that each month afforded corporate bonds an opportunity to demonstrate repair – and if they did not, it was a meaningful message.). As the table shows, the DJIA averaged negative returns over each time frame listed. Incidentally, median returns were not much better, outside of the 12-month period. The poor average returns hit their nadir 6 months out at an average loss of -10.6%. One thing to remember – especially for those unimpressed by the weak returns – is that these negative average returns come on top of a decline already of at least -10%. 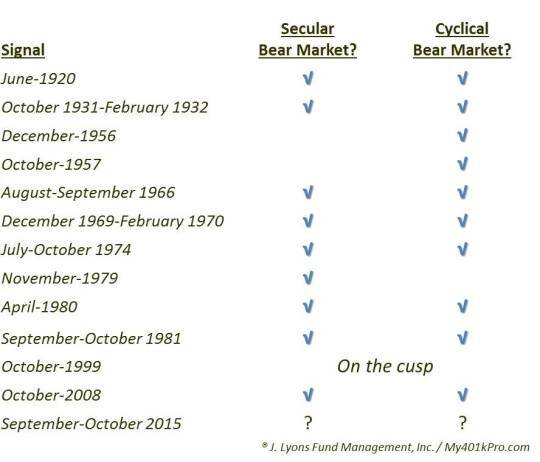 Another interesting aspect to these occurrences is that almost all of them took place within the confines of larger cyclical (i.e., months-years) or secular (i.e., years-decades) bear markets. 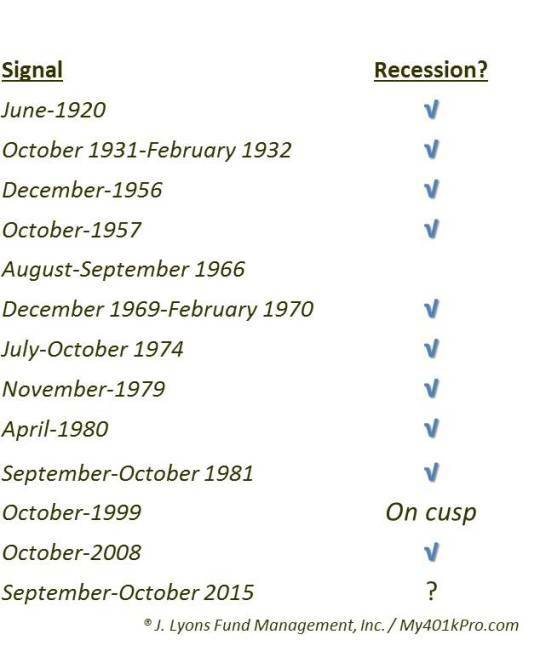 As the table indicates, the 1956-1957 instances were the only events taking place outside of a secular bear market (a pending one in 1999). This suggests that the occurrence of this combination of investor scorn toward both equities and corporate bonds is perhaps a part of something more structurally unsound. Similarly, with one exception, the events also took place within the confines of economic recessions. FYI, we are not on a hunt for esoteric, curve-fit indicators that may have taken place at historically-challenging times. We simply try to define what is happening – then identify potential precedents of similar character for purposes of study. The goal is not to support a pre-conceived agenda. It is to attempt to come to a better understanding of the market climate in which we are presently operating. So what is the takeaway here? We have observed very poor action in the corporate bond market, even during the equity meltdown in August-September. 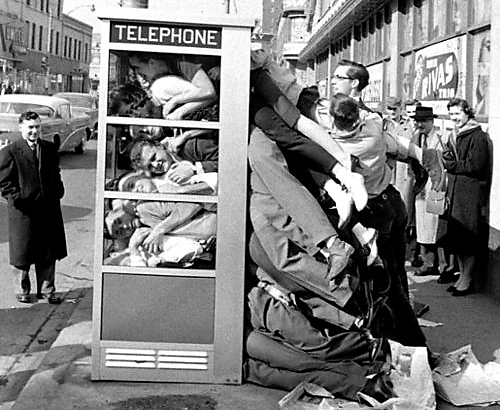 We wondered if this was an unusual dynamic, historically-speaking, and what its potential message was. As it turns out, yes, it has been a rare occurrence – about once-a-decade, in fact. More pertinent to us was the context in which the events occurred. 90% of them took place within the confines of both serious bear markets and economic recessions. Not surprisingly, the forward performance of stocks was quite weak following prior occurrences. We typically try to avoid the “why” consideration when it comes to markets. We’d rather just focus on the “what” as that is all that matters to the bottom line. However, considering the track record of this signal, we wonder if this recent spate whereby investors took the axe to both equities and bonds is a warning regarding the health of the U.S. corporate landscape. More from Dana Lyons, JLFMI and My401kPro. The commentary included in this blog is provided for informational purposes only. It does not constitute a recommendation to invest in any specific investment product or service. 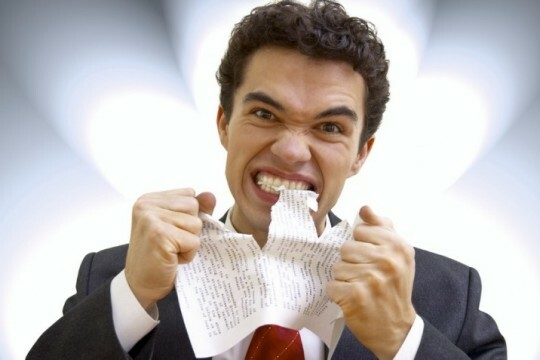 Proper due diligence should be performed before investing in any investment vehicle. There is a risk of loss involved in all investments.